I love my iPhone 5. Heck, I love all my Apple products. But I'm like super picky when it comes to cases for my phone. Especially my iPhone. I think the coolest thing about having an iPhone is that is is really popular, and because it is so popular, there is more of a demand for having more personalization options. When I first got my iPhone, I had bought a wallet type case for it. It was a quality case, but it didn't meet my standards for the phone. So I bought a dinky silicone case for some protection while I searched for the perfect phone. I'm really happy that I finally found my phone case. Its so perfect for me! Don't worry about the monogram! It won't change! I ordered my case from Case of Identity, which is an Etsy shop in England. They have tons of cases for most I-Devices and even Samsung Galaxy 3's by the look of their shop. 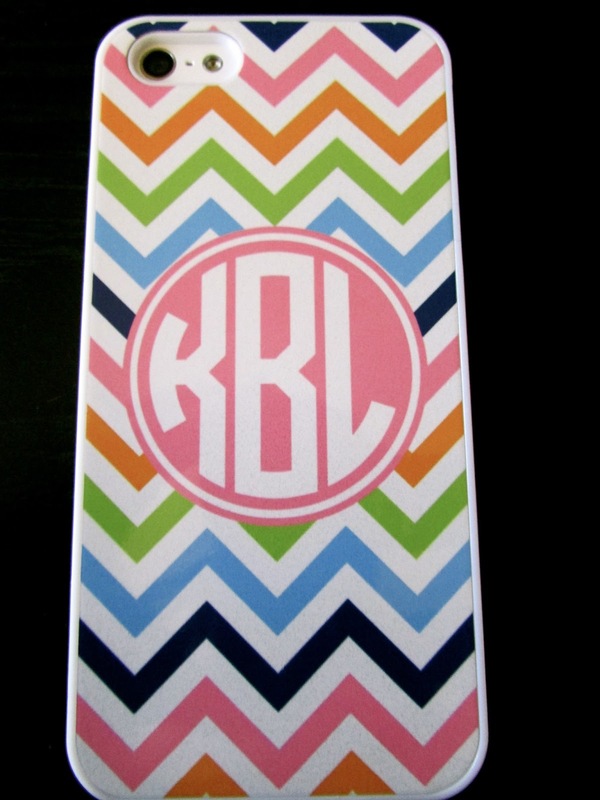 They specialize in the custom monogram-chevron styles. Obvious from the picture, but I got their Rainbow Chevron Monogrammed case in White. Its a standard snap on hard case. It doesn't offer much as far as protection goes but if you don't like a lot of protection then its fine. Half the time I'm looking at my case, I love how pretty it is. The other half of the time I'm worrying about dropping it. Obviously its no otterbox, but for right now, its perfect for me. I was really excited to get this case. I mean it has everything I need. So to say that I was happy to receive my package would be an understatement. I love getting mail from people. And to know that you are expecting a package? Its the best feeling in the world. After I placed my order, the anticipation for getting this case was ridiculous. I would ask R probably every day after the phone shipped, "Check the mail! My case could be there! " I think I asked R about the mail for a whopping 7 days straight. I was also a little apprehensive about the shipping because since it was from England, and I knew Mother's was some where around there, I was thinking that the package was going to get delayed because of the holiday. But It came! I was so happy. To open your mail box and to see a bubble envelope like this is the best feeling in the world. And to see the postage from somewhere you've never been before? Amazing. Upon opening this envelope I was so amazed by how light it felt, weight wise. I know all I ordered was a case, but I guess I expected it to be a little bit heavier because of the packaging. When I opened my package, I found a black envelope and my case wrapped in tissue paper. Other then the bubble wrap envelope this was all the protection for the case. I'm really surprised at the amount of packaging that went into this shipment. Not a bad surprised or a good surprise but just surprised in general. I guess that if it were me sending the case, especially to one over seas, I'd probably have the case wrapped in bubble wrap as well as the bubble envelope. The envelope contained my receipt a thank you note, as well as a paper/cloth wipe and a screen protector. I really didn't have any use for the screen protector. I mean, thanks for providing it, but I just don't like screen protectors. So to make a long story short, I love my case. 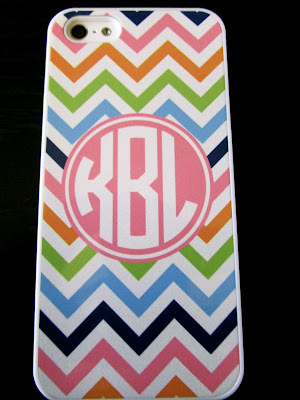 If I need to get another chevron monogramed hard case. I would deffinately go back to Case of Identity. I would also recommend it to some one who wanted something more personal than the other standard cases out there. To finish of this post, I have a question for you. Do you like phone cases? If so what do you like about them, and what do they need to have or feature to meet your needs? Leave your answer in a comment below!